From silent film actor Sessue Hayakawa to James Beard Award-winning chef Nobuo Fukuda and everything in between, Japanese Americans are the subject of this year’s Philadelphia Asian American Film Festival’s (PAAFF) main program showcase, which runs from Nov. 9-19. Established in 2008 and operated by a team of dedicated volunteers since its inception, in 2015 the PAAFF grew to become the largest Asian American and Pacific Islander film festival on the East Coast. This year as the festival celebrates its 10th anniversary, its programs probe the intersections of art as activism and historical memory within the AAPI community. 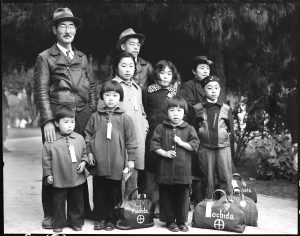 Recognizing that 2017 is also the 75th anniversary of Executive Order 9066, the PAAFF is hosting the Japanese American Showcase as part of its ongoing collaboration with the Philadelphia chapter of the JACL. The showcase is made possible by support from the Legacy Fund Grant, which was established by the JACL National Council at the 1990 convention in San Diego. The fund originated from monies donated by JACL members who gave a portion of their redress awards to further the legacy of Nikkei in America through a variety of chapter-led educational and cultural programs. This showcase embodies the Legacy Fund, since the majority of selected film titles involve the legacy of incarceration as it relates to ongoing social justice causes that affect our community today. While there have been dozens of films made about the incarceration experience, three new documentaries included in the showcase were chosen for their unconventional approaches to telling this story. 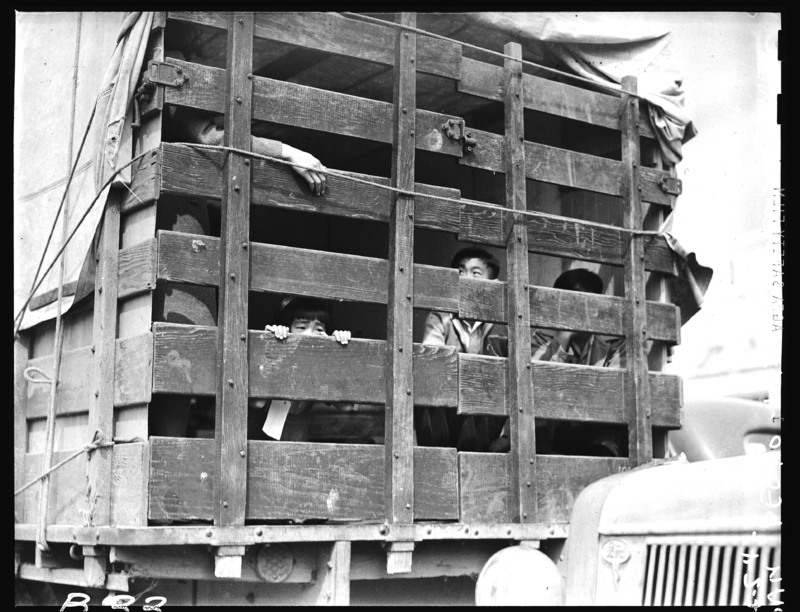 Feature documentary “Relocation, Arkansas” explores the experiences of two Japanese American families who chose to remain in the Deep South after the Jerome and Rohwer camps were closed following the end of World War II. Navigating racial segregation in the Jim Crow era, these families worked as sharecroppers living in shotgun houses amongst descendants of African slaves, yet were allowed to attend white-only schools. A fascinating reflection on the racial dynamics of pre-Civil Rights Era America, the film also tells the unlikely tale of the small-town Arkansas mayor of Italian descent who worked tirelessly to ensure the preservation and remembrance of these two incarceration sites. Documentary subject and Jerome incarceration survivor Alice Takemoto and her son, Paul, are expected to be in attendance for a post-film Q & A session. Another film “Resistance at Tule Lake” recounts in unnerving detail an aspect of the incarceration that is often overshadowed by the dominant narrative of cooperation and military service. Director Konrad Aderer dispels that myth by telling the long-suppressed story of the Tule Lake Segregation Center through his engrossing documentary that exposes the worst of the U.S. government’s violations of civil liberties and the organized resistance by Japanese Americans behind bars. Aderer is expected to be in attendance to lead a post-film discussion with Tule Lake camp survivor and Philadelphia JACL Chapter member Ed Kobayashi. The documentary “And Then They Came for Us,” narrated in part by actor-activist George Takei, brings history into the present by contextualizing the incarceration story within the efforts of several contemporary activists as they speak out against the Muslim registry and travel ban. Nisei woman whose parents decided to commit suicide rather than suffer the indignity of incarceration. “Legacies of Camp” offers a broad range of perspectives from the narrative short “The Orange Story,” which is about a grocer who must abandon everything as he prepares for evacuation, to experimental short “Sansei Dream,” about a young farmer who uncovers the truth about his Nisei mother’s dark past through a subconscious dream state. 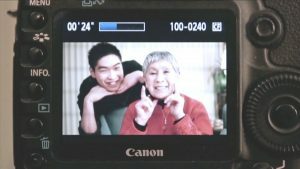 Another short in this program, “9066,” conveys an intimate documentary portrait of Yonsei filmmaker Andrew Okada’s grandmother and the unspoken bond of trauma that exists between them. Lastly, in the short documentary “Cliff Superfan!” the audience learns about amateur historian Cliff Hayashi’s attempts to preserve the history of incarceration. In addition to films dealing with incarceration, the Japanese American Showcase also highlights community history in a variety of creative pursuits that explore the diversity of experience within the Nikkei diaspora. Starring Japanese immigrant Hayakawa, “The Dragon Painter” is a fantasy romance about love and creative inspiration. Tatsu (Hayakawa) is a reclusive painter who lives in the mountains, painting images of the dragon princess he loved in another life. Tatsu comes to believe the daughter of a wealthy art collector is his lost princess, but as he finds happiness in love, his art begins to suffer. In his prime, Hayakawa was as popular as Charlie Chaplin, as rich as Douglas Fairbanks and, to this day, the only Asian American to own his own Hollywood studio. Although set in Japan, the film was shot on location in Yosemite National Park and stars a predominately Japanese American cast, including his wife, Tsuru Aoki. Produced by Hayakawa’s own Haworth Pictures, “The Dragon Painter” deliberately provides an authentic perspective on Japanese culture that counters the dominant narrative of stereotypes, violence and melodramatic conflict expected in so-called “Oriental” films of the period. For these reasons, it can be considered one of the first Asian American films in history. Nakamura makes a natural choice for this program since he has been scoring films for just over a decade, with his work featured prominently on the scores of Ridley Scott films “A Good Year,” “American Gangster” and “Body of Lies.” His song “Daylight Savings” is also included on the soundtrack to the 2007 Robert Benton film “Feast of Love,” starring Morgan Freeman and Greg Kinnear. In addition, Nakamura starred in two indie feature films inspired by his music: 2011’s “Surrogate Valentine” and 2012’s “Daylight Savings,” for which he composed the soundtracks. Another musical highlight will be a mixed-media theater performance of “Aunt Lily’s Flower Book,” starring Emmy-winning jazz musician Mark Izu and his wife, Brenda Wong Aoki. These two acclaimed artists share touching and personal family histories from a recently discovered diary, expanded through story and song. Tracking more than 100 years of history in the American West — this story takes audiences from the Transcontinental Railroad to WWII incarceration, 442nd Infantry Regiment and beyond. Joined by koto master Shoko Hikage, the showcase performance will consist of a 20-minute excerpt out of the larger play, followed by an interactive discussion activity. The last two films in this showcase expand the definition of Japanese American to include Shin-Nikkei, or new first-generation immigrants, whose post-WWII immigration experience offers a completely different narrative from that which is often attributed to our community. Feature documentary “Far Western” follows a group of Japanese musicians as they pursue their passion for American country and bluegrass music 70-plus years after the end of WWII. A music-fueled, character-driven film about the lasting impact of the U.S. Occupation in post-war Japan, audiences will not soon forget scenes of Japanese country western icon Charlie Nakatani playing the Grand Ole Opry in Nashville, Tenn. Following the film screening, audience members will be treated to a live performance from local Filipino American father-son bluegrass duo Rick and Chris Marcera, as well as a short reception kicking off the Closing Weekend of the PAAFF. The final program in this series tells the story of free-spirited Chef Nobuo Fukuda in the feature documentary “Kakehashi: Portrait of Chef Nobuo Fukuda.” Not to be confused with the Kakehashi Program that sponsors youth travel to Japan, this film is titled after the vision that Chef Fukuda’s father had for his future — to bridge the gap between Japan and the rest of the world. Rising from humble origins as a dishwasher in the kitchen of Benihana, in 2007, Chef Fukuda was awarded the James Beard Award for Best Chef: Southwest. Today, he continues bridging the gap between the U.S. and Japan through his Phoenix, Ariz., restaurant Teeter House, where he serves a unique menu that blends Southwestern ingredients with traditional Japanese cooking techniques. Several Eastern District Council chapters are organizing group travel to visit the festival, and the National Youth/Student Council will be hosting a Youth Summit in conjunction with the opening weekend of the festival on Nov. 10-12. JACL Youth Members wishing to attend the NY/SC Summit may be eligible for free travel and accommodations. Please contact your local NY/SC representative for further details. The JA Showcase programs are listed in order of sequence. Full program listing is available online at tiny.cc/PAAFF17program. 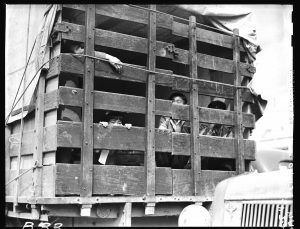 • “And Then They Came for Us,” Nov. 11, 11:30 a.m.-12:50 p.m., Institute of Contemporary Art, 118 S. 36th St.
• “Relocation, Arkansas,” Nov. 11, 1:10-2:30 p.m., Institute of Contemporary Art, 118 S. 36th St.
• “Aunt Lily’s Flower Book,” Nov. 11, 3:30-5:20 p.m., Lightbox Film Center, 3701 Chestnut St.
• “Far Western,” Nov. 11, 6:15-7:15 p.m., Lightbox Film Center, 3701 Chestnut St.
• “Kakehashi: A Portrait of Chef Nobuo Fukuda,” Nov. 18 from 11 a.m.-Noon at Asian Arts Initiative, 1219 Vine St.
• “Resistance at Tule Lake,” Nov. 18, 3:30-5:15 p.m., Asian Arts Initiative, 1219 Vine St.